Because of modern technologies we stand closer to each other than ever but we don’t always realise this. Rendez-vous is a short experience between two people who are located in different cities. A meeting between the two will have an unexpected and spectacular outcome. Check out our concept document to learn more about this project. 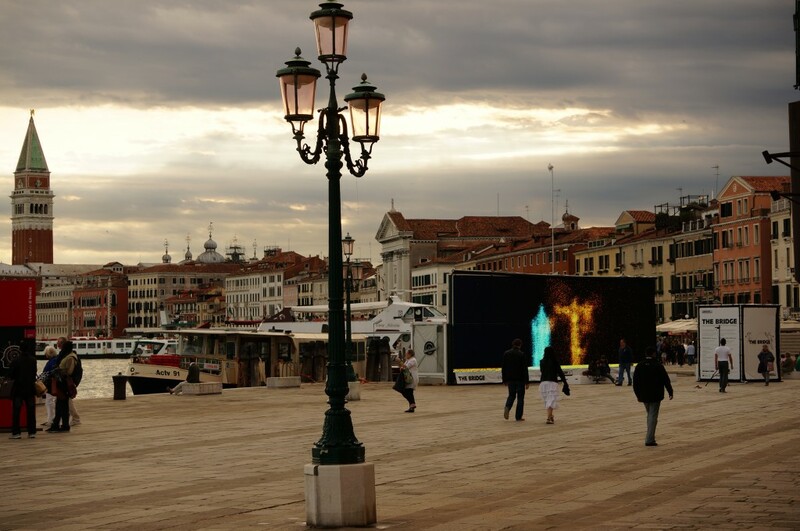 During a seminar for DROPSTUFF.nl I worked together with three fellow students Julien Ranzijn, Jason Schot and Ruben Bernhardt, and we created a concept for la Biennale di Venezia. Our concept was selected to, unofficially though, be executed for this great event! Along the way we got help from Joost van ‘t Hoff to make some awesome music and sounds, Fabian Heeres to get all the code working and Denise Gahler to make a beautiful choreography. For this project I made my biggest share during the conceptual fase, what I believe to be the heart of a project. If the concept has holes in it, how can it be properly executed?